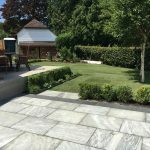 Cranbrook landscaping project in Kent. 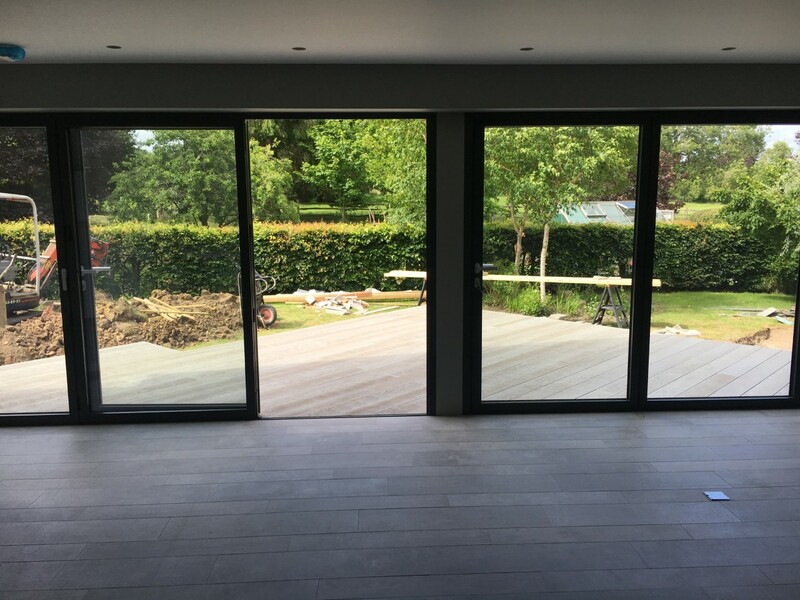 This house in Cranbrook was being renovated and having a new large contemporary kitchen installed with large bi-fold doors opening up into the back garden it needed a garden suite. 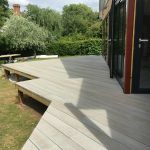 In most houses, the kitchen is the hub of the house, where everyone comes together, whether at parties or after a busy day it’s the busiest room in the house. 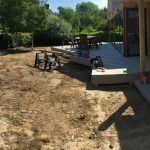 Wanting to combine the kitchen area with the outdoors we created a large raised composite decked area with plenty of space for a large table and chairs to enjoy and entertain. 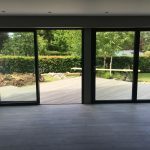 With a seamless join from the kitchen to the deck with large bi-fold doors that open out onto the deck, it’s become the perfect place to sit and enjoy the outdoors as well as inside. 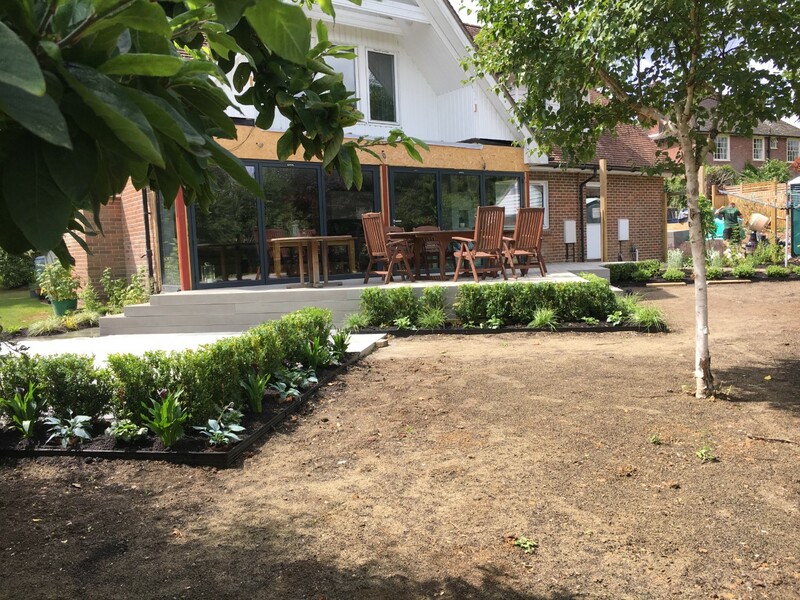 This garden also has a lower terrace surrounded by planting giving you somewhere to get away from it all, with plenty of space for more seating it’s the perfect place to sit relax and enjoy the garden. 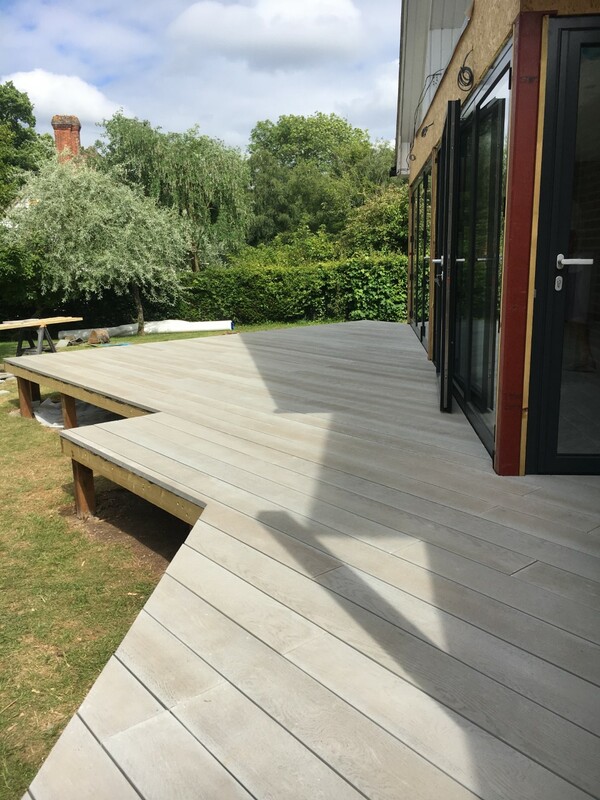 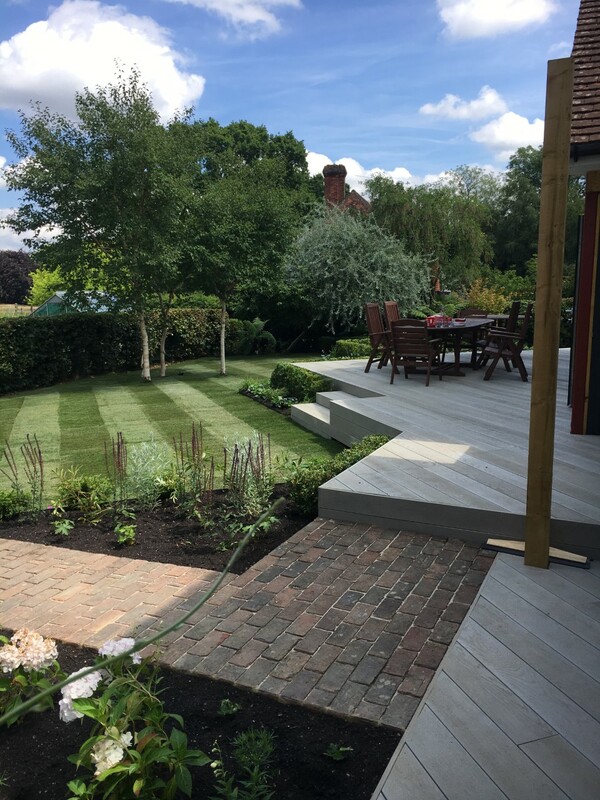 Constructed using Grey Basalt surrounded with a Midnight Grey Slate detail it complimented the Enhanced Grain Oak Smoked Millboard. 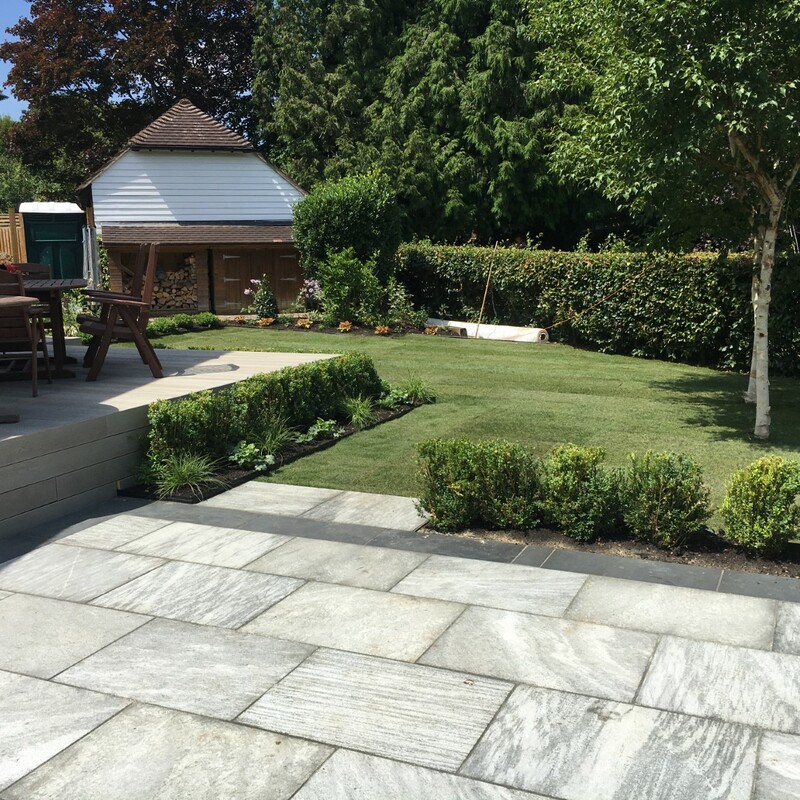 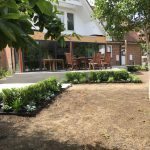 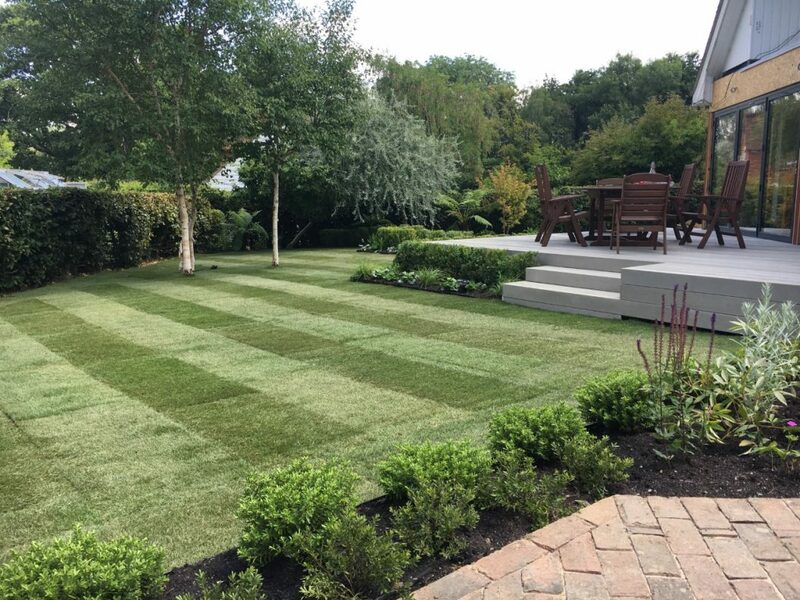 All the borders were edged with a black powder coated metal edge creating a clean crisp edge to retain the planted borders and provide a neat mowing edge for the lawn. 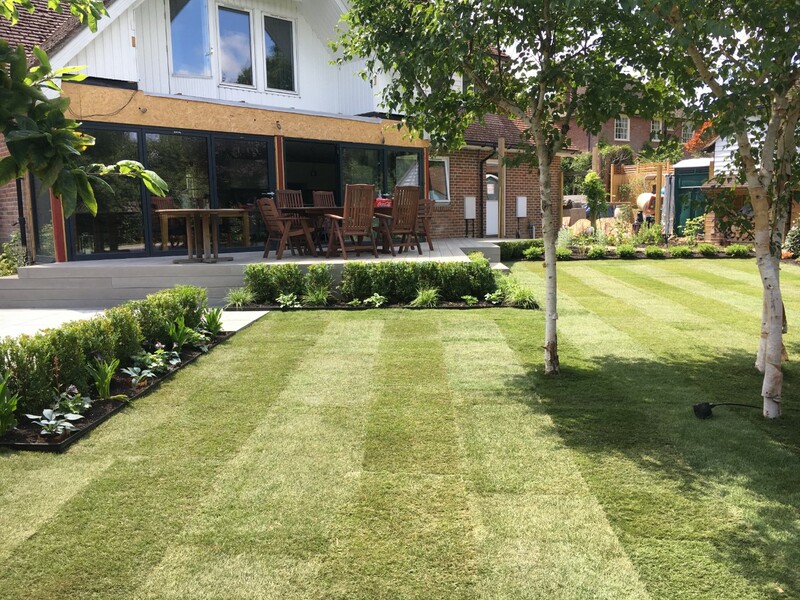 The lawn area was rotavated to break up the compaction and fine topsoil bought in raked level and turfed. 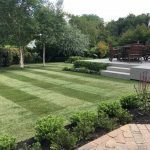 Adding a softer side to the garden and also set off the deck and patio areas. 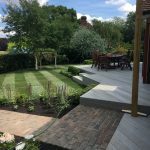 Using some of the old existing bricks which were from the original garden cleaned and laid to create a path to suit through the kitchen garden and giving access to the log store and garage. 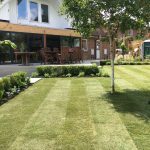 If you like to talk with us about your garden project then please feel free to drop us a line today.